HOORAY for World Card Making Day, Nicole here! How great is it that we have a whole day dedicated to the art of card making! When it comes to cards, I like to get straight to the punch 😉 I love grabbing some smaller pieces of paper that I just can’t seem to part with or even punch a shape out of a favourite piece of paper that I want to make last longer. For this card, I punched several label shapes using a Stampin’ Up punch. I usually punch way more shapes than I need, but it allows me the variety to move different patterns and colours around on my project. 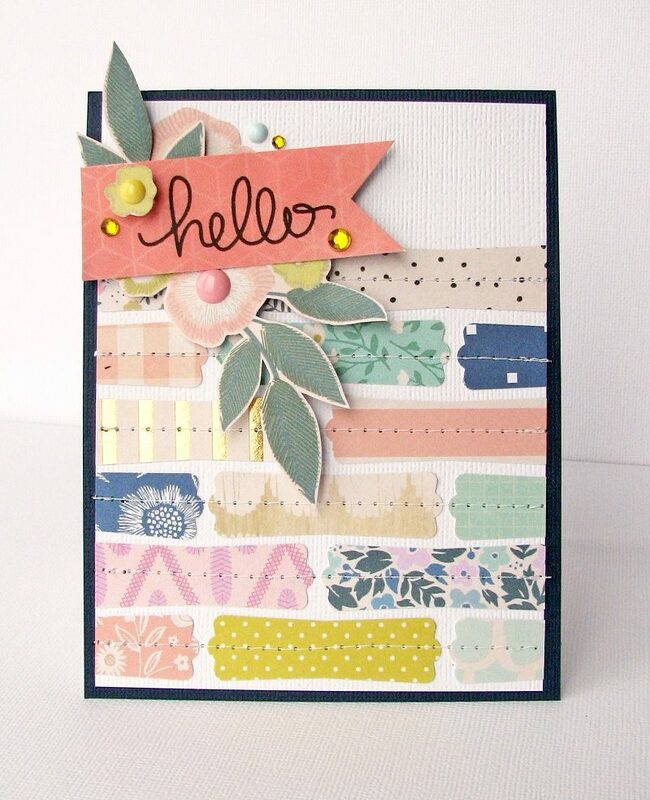 A simple stamped title along the top row of my shapes and a fussy cut flower or two are the perfect way to finish off a HELLO card for a friend! I hope you are inspired to break out some paper and pack a punch on your own WCMD card projects! 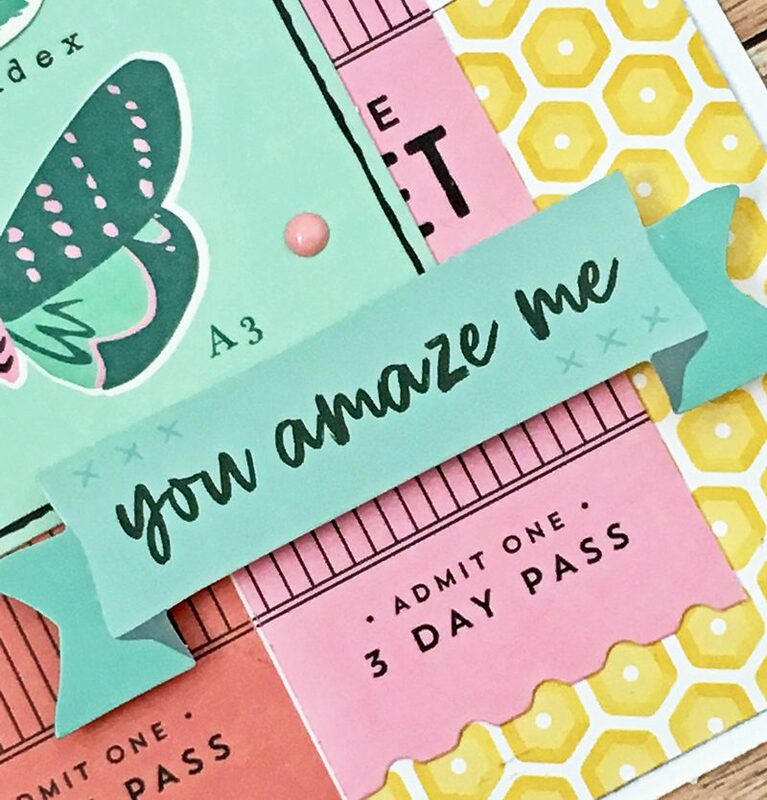 Create an A2 card base (4.25×5.5) from tan cardstock. Electronically cut sunflower from red paper. Trim small scraps of coordinating papers to fill petals of the flower. Adhere on the back side of die-cut. Use dimensional adhesive to adhere sunflower to center of the card. 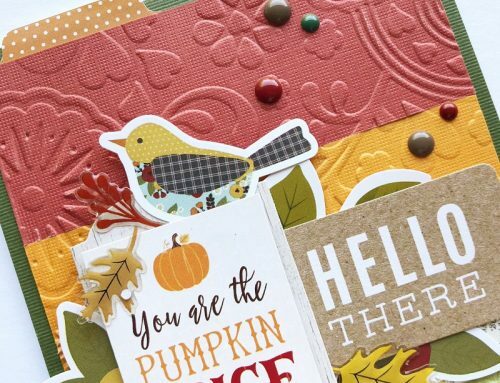 Use Forever Fall kit stamps with red ink to stamp Thank You sentiment on white cardstock. Cut out with the matching die. 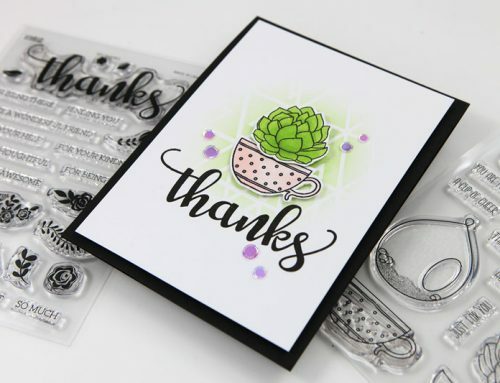 Use kit stamps with green ink to stamp FOR EVERYTHING sentiment on tan cardstock. Trim into a banner shape. Adhere Sentiments with dimensional adhesive on the center of the sunflower. Thanks for stopping by SCT and enjoy World Card Making Day! 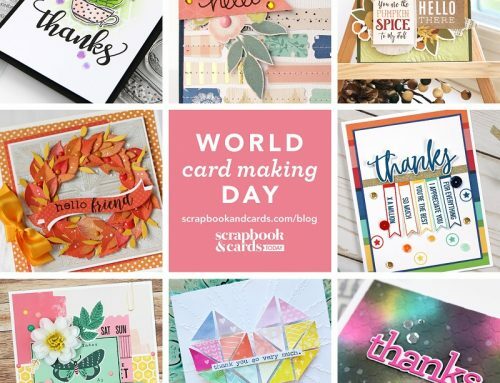 Hello, and Happy World Cardmaking Day. Sheri Reguly here. According to the calendar, and the chilly temps outside, fall has definitely arrived. 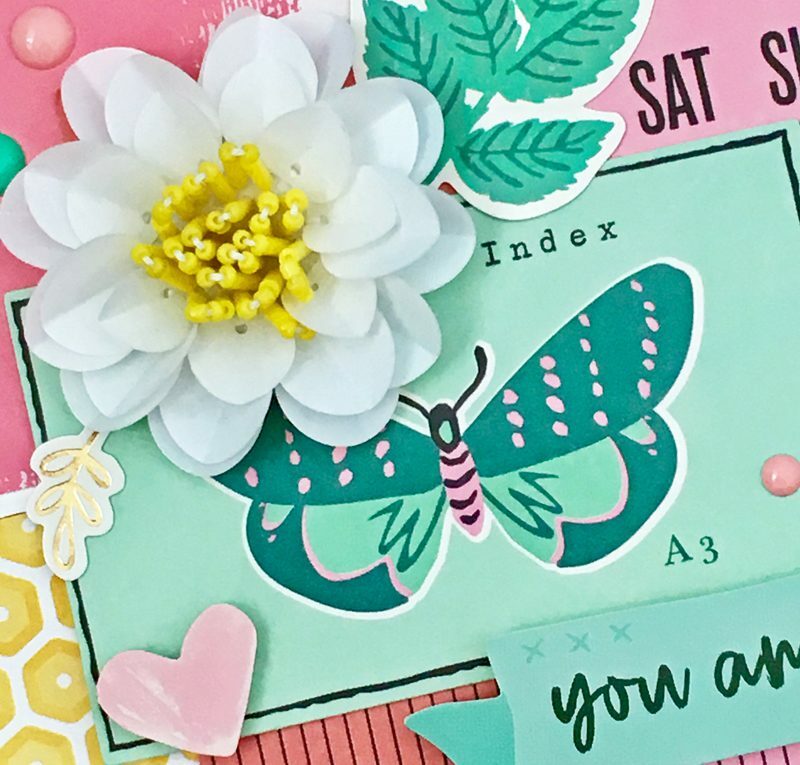 However, being a summer-lovin’ girl, I will continue to wear my flip flops until the snow hits the ground just as I couldn’t resist using a summery color palette and design on the card that I created to share here today. I just got my hands on Crate Paper’s gorgeous sequin flowers from the Willow Lane collection and couldn’t wait to incorporate one into my very next project. When it comes to designing cards, as well as layouts, layering on top of layering is my favorite way to add visual interest to my designs. I topped my patterned papers with various pieces of ephemera, stickers, a dimensional flower as well as enamel dots. Various pieces were adhered using adhesive foam to incorporate even more dimension into my design. WOW! Thank you Nicole, Lisa and Sheri for sharing these gorgeous cards! The We R Memory Keepers Bloom Storage is the perfect tool for organizing those embellishments but also closes up for a neat and tidy look! For an opportunity to win this hour’s awesome prize, be sure to leave a comment below by Thursday, October 11th. Winner will be randomly selected and announced on October 12th! Good luck! Join Melissa Phillips, Meghann Andrew and Virginia Nebel right here at 4:00 today! We also have another fun prize! Wow! I would love to win an item that has been on my wish list for a few months now. Thanks for the chance to win, and AWESOME CARDS!! Love the idea of using paper scraps to make cards. What pretty designs. I’ve always loved the Bloom storage unit– would love to win it!!! What a sweet way to store embellishments! Now I just need to make room on my messy craft desk! These are great cards. Thank you for the inspiration. 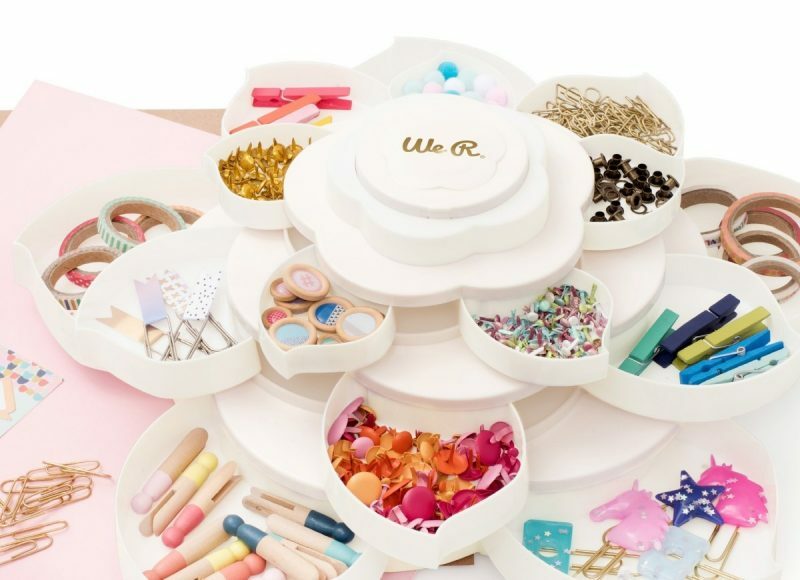 super cute embellishment storage! and love the cards!! I need to put my scraps to use! Lovely cards. I always forget to add stitching to mine. Thanks for the chance of winning this fab storage container. Perfect storage case for all my embellishments! Such lovely cards! The stitching adds so much detail! what a fun storage unit! Would be nice to get those items organized. Thank you for the inspiration and chance to win! Such gorgeous projects, thanks for sharing all these lovely ideas. This prize is fabulous, would love to win this. Thanks so much for the chance! Great cards and I see that I would be able to use up many of the scrap pieces I have been hoarding, lol lol. Great cards I love your design. WOW this embellishment holder looks amazing, what a fantastic way to store all your embellishments and keep everything neat and orderly. Love it! Thank you for giving us this chance to win such a great prize.. I wish I could be brave enough to learn how to sew on my projects. Love all of these cards. Thanks! How gorgeous are those cards. And the embellishments holder is just as gorgeous! How have I not seen the Bloom Storage unit until now?!! Love it!!! I would love to win this cute organizer! I have plenty of supplies to corral! Thanks for the giveaway WRMK! LOVE your three projects for this hour! scraps, which I tend to hoard!! What lovely cards. I have admired that holder for a long time. I need all the organizing/storage help that I can get! Thanks for the chance to win! I’ve never seen such a beautiful storage unit. Lovely! Perfect storage idea! Thanks for the chance to win! Awesome cards, lots of layers! 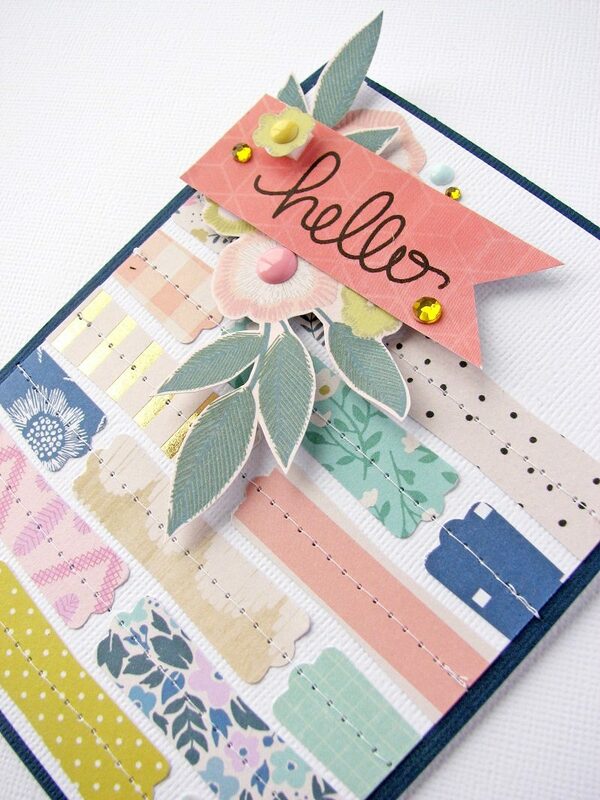 Great cards again, I love the label punch idea for using up some of my scraps that I just can’t seem to part with! Fun giveaway! Crafty organization isn’t my strong suit. 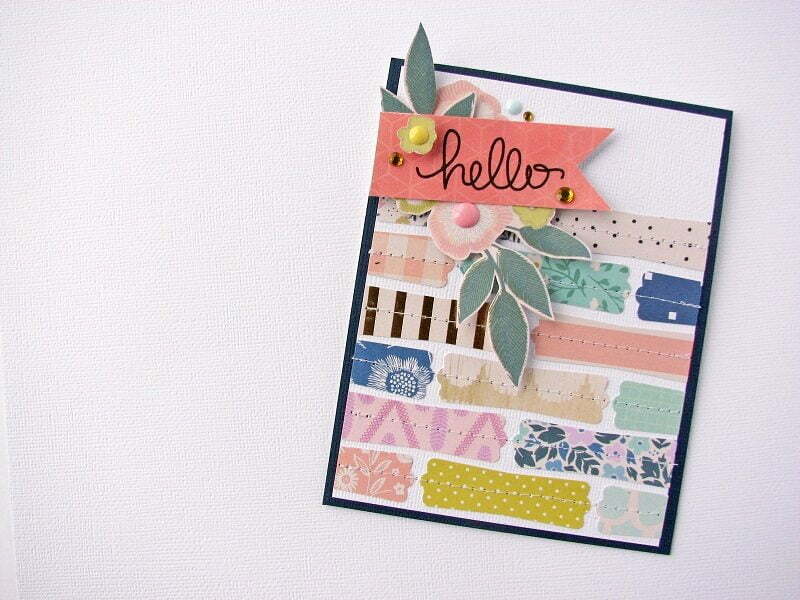 Thanks to Sheri, Lisa, and Nicole for sharing their pretty cards! Very happy and colorful cards! Would be great to store all my embellishments in the bloom! I’ve had my eye on that bloom storage for months. It’s such a clever idea! Such a fun storage system. Happy WCMD! What a great prize and awesome inspiration! What an awesome idea this WRMK Bloom Storage is. It looks awesome open or closed!! Thanks for a fun giveaway. definitely fill with all of my embellishments!! Love these amazing cards!! Love, Love, Love the Bloom organizer!! Thank you for the chance to win! 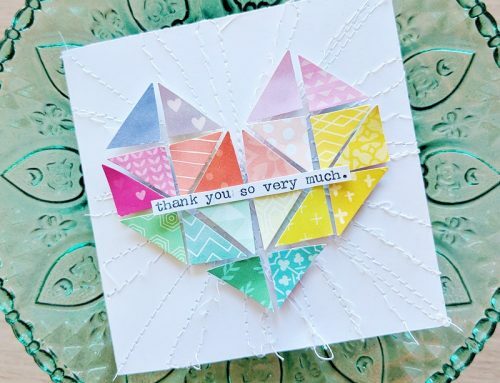 Love the way you worked the scraps and layers on the cards! it is very inspirational for the scraps that I have! Happy card making day and thanks for the giveaway contest! What a great prize! Would love to win this! It would look great on my scrapbook desk and keep me better organized! I just pinned one of these cards! Awesome use of scraps. Love these ideas for using my scraps. I have been trying to organize my scrap inventory and could definitely put this little beauty to good use. What an adorable way to stay organized!! Thank you for a chance to win. Wonderful cards and I think I need this storage unit. What a fantastic storage solution!! This Bloom Storage cutie has been on my wish list, it would be awesome to win it! I love this!! I have so many little embellishments that need a good home instead of at the bottom of a drawer! Beautiful card Lisa! Great day for making cards! Thanks for all the great inspirations! Would love to win this great prize for all my embellishments. This looks like a great, & cute, storage container. Any idea to use up scraps sounds good to me! Thanks for the inspiration. Love all of these cards – so creative!!! It is a beautiful container and would look great on my desk! This is my favorite type of organization, pretty and functional! Love the stitched background. What cute cards! Very inspiring. Thanks so much for sharing. Beautiful – love the ephemera, and the stitching! Oh my! Love that beautiful stitching…. thanks so much for the opportunity to win this amazing WRMK tool! Great cards! Love using scraps. Thanks for the opportunity to win this fab prize. Oooh, I am always looking for storage solutions. Thanks for the opportunity to win. Lovely cards. Thanks for the giveaway – that storage system is on my Wishlist. Who doesn’t like a flower on their worktable and one that has great functionality as well. Such pretty cards! 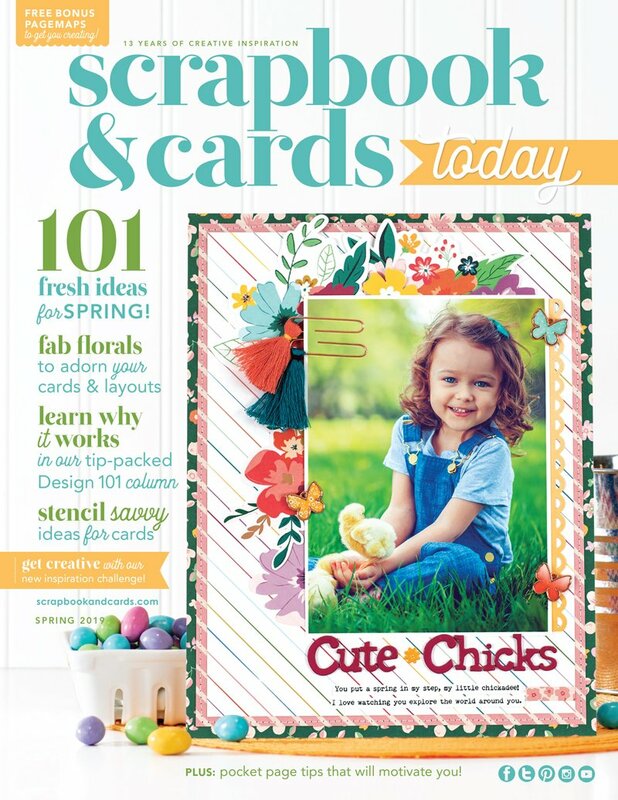 I love ideas on how to use my large collection of paper scraps. The Bloom storage container looks great – functional and attractive. Great cards-so inspirational! Would love to win one of these! I have enjoyed seeing all of the cards that have been posted on the blog. I would love to win this tool! It is so adorable! I would be so excited to win a bloom! I have wanted one since they were released! BEAUTIFUL creations! And I love this BLOOM! What a great giveaway! Desperately need to be organized. Would love to start with this embellishment storage. Also love the cards, especially Nicole’s “Hello” – simple but stunning. What a cute and clever storage idea. Thanks for the chance to win one! Great card inspiration so far today! I know the ones I’ll be replicating 😀 I adore this new storage unit by We R Memory Keepers. They make the niftiest things! I just purchased the reinforcement punch. I have been eyeing up this Bloom Storage 🤗 Would love this to keep my little treasures organized. Here are wonderful examples of cards using a lot of this and that. Leftovers, used for a purpose. Love them all. Thanks! These are all beautiful cards using up some of your paper scraps. Will definitely try to make some. All the layers are on these cards are beautiful! I love the textures. They are gorgeous cards. I love all the flowers on each card. the We R Memory Keepers Bloom Storage prize!!! I love these and their pretty layers! How did I not know these close too?! I love that and this makes me want one even more! WRMK always does this stuff so well. Oh what cheerful and happy cards! What great cards and what a great prize too! 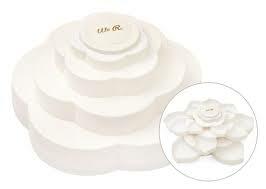 Thanks for the chance to win the We R Memory Keepers Bloom Storage! Beautiful and clever cards. I love the storage flower too. Thanks for a chance to win. 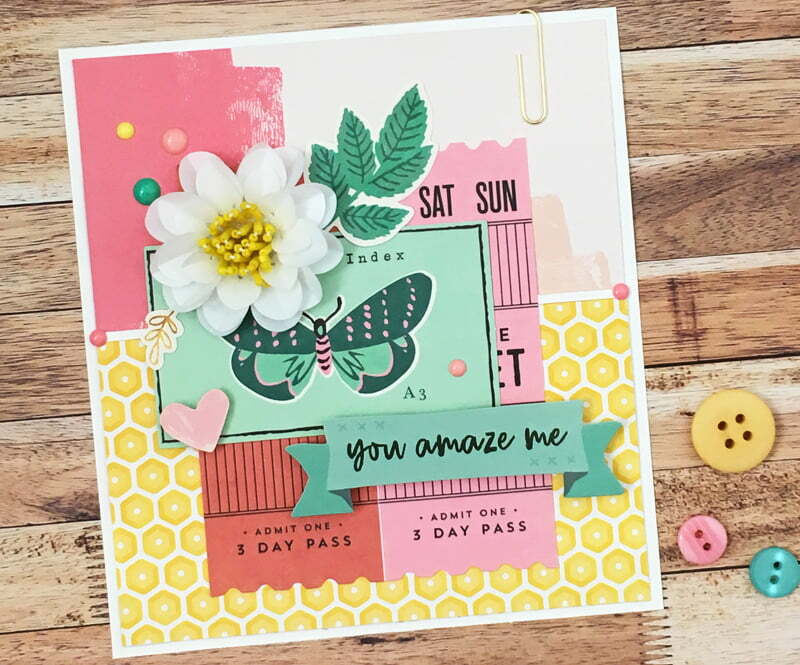 This is my favourite style of cardmaking…love all the layers! This prize would definitely help to keep all my little bits and bobs organized. Adorable set of cards!!! I’m totally in love for Lisa DIckinson’s one! Thanks for this chance to win this gorgeous prize! What a cute organizer! The cards are wonderful, such great inspiration! I really love all the stitching and the use of scraps on these cards! Thanks for the inspiration! More awesome cards! Thanks for all the inspiration and the chance to win this fab prize! Love these cards! Great WCM day 😁 thanks for chance to win this awesome prize. Oooh, I have lots of scraps and can see lifting some of these fab. ideas….now to get brave and do some sewing on paper! Oh how fun! Love so much!! I think I would have to leave the flower open all the time.Such cute storage! Thie Bloom storage unit would really help me get organized. Thanks for the opportunity to win this great prize!!! I have been eyeing the Bloom. 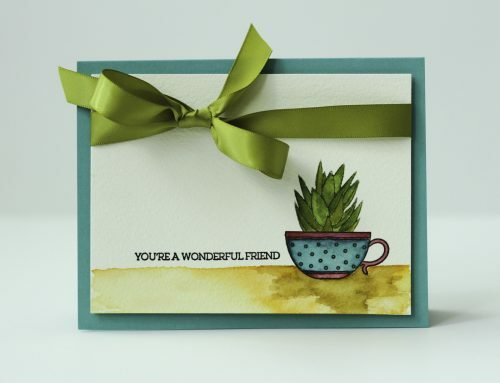 Thanks for the inspiration and I love sewing on my cards. Great cards and a great organizer. Thanks for the chance to win it. Wow, I would love to win this prize. I surely could use the Bloom Storage to keep me organized with all my little embellishments!!! It’s so pretty and definitely not a shoe box that I’m currently using! Love the way Nicole used punches! great idea. Thanks for the chance to win. These cards are beyond awesome!! Thanks for the chance to win a wonderful prize. Great little storage unit for all those embellishes! Beautiful cards girls! I’m always in need of storage options for my embellishments. This one is so very cute! Love Sheri’s card and who would want to win this amazing prize. Thank you for the opportunity to win this. Wow, that organizer is awesome and pretty. Loved all the cards! The WRMK Bloom Storage looks awesome, and useful. Love both cards. Really liking the way Sheri layered on top of the layering.